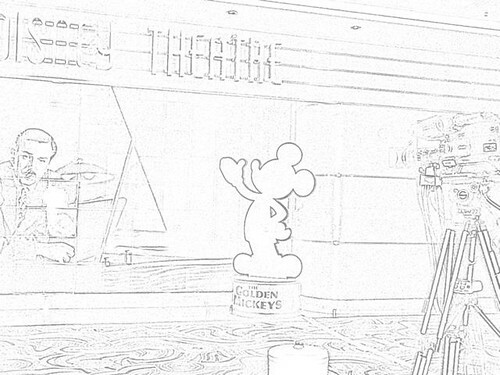 The Golden Mickeys was the first show I got Mik to go to on the Disney Cruise. I remember going to it on our first cruise, but only Dad and I saw it. This time just Mik and I saw it. They have a small section for wheelchairs to sit off to the side in the back. There is a ramp up to the area before you get to the stairs. If you get there right when the doors open or soon after there is a cast member there to direct you to it and will set up a chair next to the wheelchair for a companion. 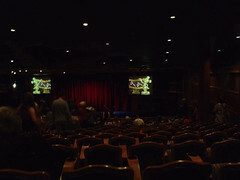 We sat in the section near the right/starboard side entrance. It is a good view, as you are far enough above the last row of seating that even a tall person doesn't block your view. You are far from the stage, but you still get a great view of it all. 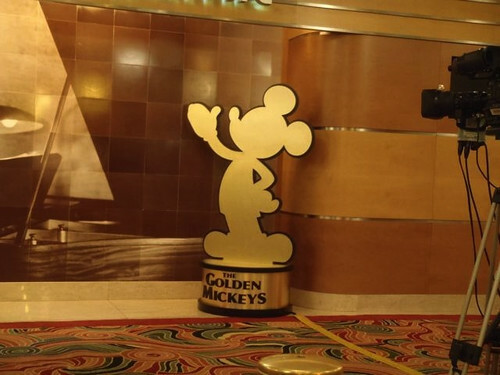 The Golden Mickeys is basically a pretend award show. 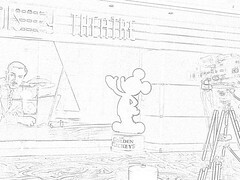 It features a variety of popular Disney characters and has an interesting part with Bob Iger on the movie screens as if he is participating live. Mik enjoyed it, but the show is late with us having first dinner and he almost fell asleep. 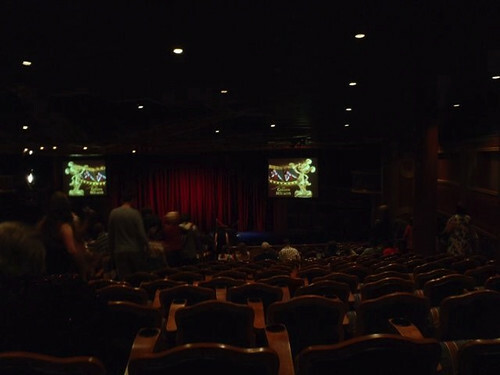 He would have rather watched it in the cabin, but the television was acting up a lot during our cruise, especially the day of the Golden Mickeys and watching anything was pretty much impossible or at least frustrating with the audio and picture coming in and out.